By all means, this should be a Dad-Rock Tuesday post right here. Under no circumstances have I ever willingly listened to a funk album before. Funk is one of my father’s areas of musical expertise, though. I’ve listened to a few Parliament records on vinyl, always because of him. Not this time, though. 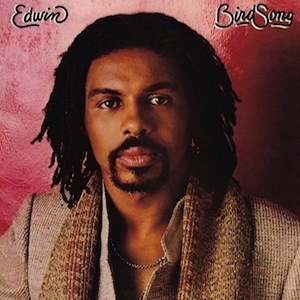 I listened to Edwin Birdsong’s eponymous LP because of last.fm friend ptchfrkabortion. He figured I’d recognize the riff on the opening track. Did I ever. Turns out, the 11-minute combined opener Cola Bottle Baby / Phiss-Phizz was sampled liberally by Daft Punk for their awesome Harder Better Faster Stronger. It’s always crazy when you hear a piece of music that you know so well, in its original form. I’ve always found funk music fairly boring. It tends to go on for way too long, and is really, really repetitive. Yeah, I can’t deny the greatness that is the bass playing that occurs on funk records, but that’s about all they have going for them. While Birdsong’s record isn’t particularly long (it only has seven tracks, and clocks in at just under 38 minutes) that annoying repetition is there in full force. Most songs revolve around one main lyric. Most songs are also longer than 4 minutes. When you put that together, you get straight-up boredom for a member of the YouTube generation. Once I figured out where Daft Punk got that sample, I was #done. ← Day 71: Joe Jackson – Look Sharp! For the most part I would agree. I’m not sure how you listen to new albums, but I personally turn this on when I’m doing something else so during the slower parts I pay attention to what I’m doing and when I hear the good parts I listen to it more closely. This one is definitely like that. It’s got some good bass for background music, but I can’t just listen to it by itself. Psychoalphadiscobetabioaquadooloop. I guess the “Youtube Generation” (yuck — you guys can do better)has a hole in its soul. Good funk (not this stuff) creates an overall mood — a groove — if you will. At the right times, that groove makes everything better, like putting on good sunglasses on a sunny day. I will offer Funk 101 one of these days. The first lecture will explore the relative merits of Parliament and Funkadelic — all George Clinton bands are not created equal. Remember, without Funkadelic, there is no Prince and without Prince, music would have entered a dark age that might still be going on. One thing you got right: the bass — oh the bass. There can be no doubt that Cincinnati’s single greatest contribution to Western Civilization is Bootsy Collins, which has to drive all those buttoned-up Germans insane.